The world’s single-largest producing emerald mine. The 41 square kilometre licence area is located in the Ndola Rural Emerald Restricted Area and lies south of Kitwe and west of Ndola, in Zambia’s Copperbelt Province. It is 75% owned by Gemfields and 25% owned by the Government of the Republic of Zambia. The mine comprises three open pits. Kagem produced 46,300 carats of premium emerald for the five-month period since acquisition to 31 December 2017. Kagem’s higher-quality auction in November 2018 achieved revenues of US$28.4 million, with an average price per carat of US$68.03. In 2007, Gemfields Group Limited (formerly Pallinghurst Resources Limited) (“GGL”) identified the coloured gemstone sector as an “overlooked” industry that offered a unique investment opportunity. Demand for coloured gemstones by the jewellery and fashion sectors was increasing, but supply was constrained and fragmented due to the lack of large, reliable producers able to consistently deliver sufficient quantities of gemstones. Pallinghurst saw an opportunity to unlock value by bringing capital, scale and professionalism to the industry, to which end it assembled a consortium of Pallinghurst Co-Investors, including the Group. Kagem, an emerald mine in the “Copperbelt” region of northern Zambia, currently producing nearly a quarter of the world’s emeralds, was the consortium’s first acquisition in the sector. 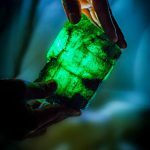 Kagem had been producing emeralds for nearly 20 years but was performing badly due to a combination of poor management, theft, shareholder conflicts and a lack of capital. Through a series of transactions, the consortium acquired 75% of Kagem, with the balance held by the Government of the Republic of Zambia. In pursuing its vision for consolidating the sector, the consortium acquired majority control of AIM-listed Gemfields plc (“Gemfields”) by selling Kagem to Gemfields in a reverse takeover during 2008. Gemfields began its expansion into other major coloured gemstones in 2012 when it acquired 75% of a large ruby deposit near the town of Montepuez in northern Mozambique. The mining licence covers 340 square kilometres and is believed to be the most significant recently discovered ruby deposit in the world. Gemfields implemented an innovative grading and auction system for selling its rough gemstones. The auctions are held in secure locations with the material separated into homogenous lots and certified as either having been produced by Gemfields or obtained by Gemfields from third parties. The world’s leading rough gemstone buyers submit sealed bids for individual lots. A sale occurs if the highest bid received exceeds a pre-determined, but undisclosed, reserve price. The auctions have brought a level of professionalism and transparency previously not seen in the industry. As there was no industry standard for evaluating rough coloured gemstones, Gemfields established its own grading system to assess each gem according to its individual characteristics (size, colour, shape and clarity). This approach has been instrumental in providing buyers with confidence in the consistent quality of the material on offer. Gemfields used this grading system to develop two auction classes, one offering higher quality gemstones and the other for the larger volume of lower quality gems. Since its first auction in July 2009, Gemfields has seen increased demand for its responsibly sourced and transparently supplied emeralds, highlighting the success of its formalised and consistent method of marketing rough coloured gemstones by auction. Gemfields’ 31 auctions of emerald and beryl mined at Kagem since July 2009 have generated US$567 million in aggregate revenues. 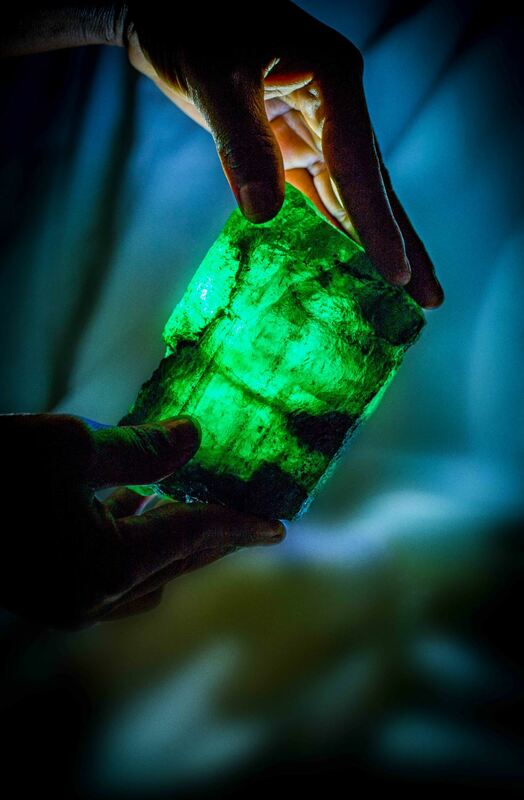 Gemfields continues to experience significant demand for its responsibly sourced emerald and beryl with successive auctions regularly achieving record per carat prices and auction proceeds. 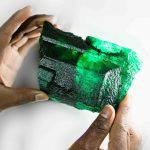 In August 2018, a predominantly higher quality rough emerald auction was held in Lusaka. The auction generated revenues of US$10.9 million with 90% of the carats being sold. In November 2018, a predominantly higher quality rough emerald auction was held in Singapore. The auction generated revenues of US$28.4 million at an average price of US$68.03. 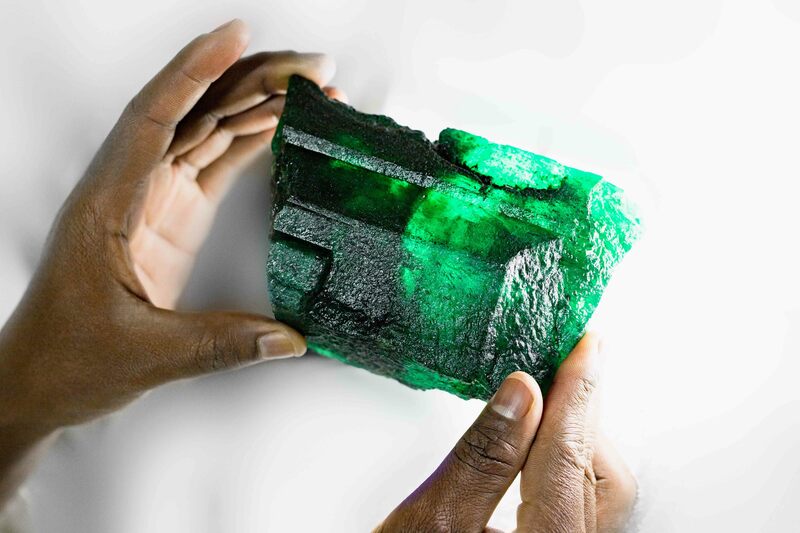 In February 2019, a predominantly commercial quality rough emerald auction was held in Lusaka. The auction generated revenues of US$10.8 million at an average price of US$4.39 per carat. 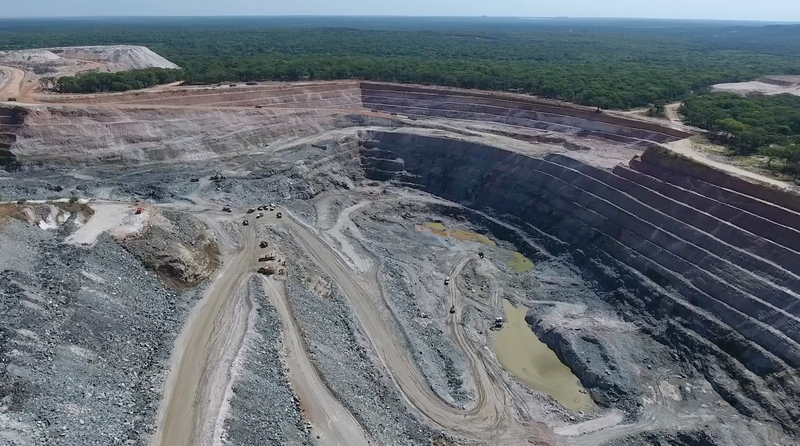 During the five-month period, Kagem progressed its programme of overburden removal at the Chama pit, clearing material that sits above emerald formation. Design of the 2.2-kilometre-long Chama pit has facilitated bigger fleet use, enabling more efficient and therefore more cost-effective operations. Additional strike length afforded by extension works completed during the year have helped to further improve process efficiency, space utilisation and productivity, with additional exposure of the emerald and beryl mineralisation. Gemstone production for the period was 11.7 million carats of emerald and beryl, with 46,300 carats of premium emerald, an increase in premium production of more than 20% over the entire 12 months to June 2017. Of the total production, the Chama pit contributed 10.8 million carats and the bulk sampling projects in Fibolele and Libwente contributed 0.9 million carats. The variability of emerald production at Kagem is primarily due to the geological factors influencing initial formation millions of years ago. The implementation of high-resolution digital surveillance CCTV continued to aid effective and efficient management of the security systems, with permanent patrol teams being stationed in and around all the dump sites to provide robust protection and surveillance over the mining licence area. To further enhance the sort house security system, the electric fence and the intruder alarm system are now serviced by a new third-party provider, with weekly tests performed to ensure reliability. Kagem prides itself on its ability to conduct mining in a responsible, transparent and safe manner with minimal impact on the natural environment. Kagem is aiming for a zero-harm (injury-free) culture where health and safety are not only considered critical to the operation, but are also ultimately the responsibility of each individual employee. Training continues to be rolled out in areas such as first aid. Reporting of incidents and near misses has improved following changes implemented throughout 2017. CSR and employee welfare were a key focus during the period and several committees were formed to improve overall life outside the work areas. Kagem’s CSD strategy sets out planned projects with the agreement of local stakeholders. Kagem’s sustainability department develops and implements its CSD strategy directly in line with the Group’s sustainability strategy to support health, education and agricultural projects in the two areas ruled by local chiefs. Total operating costs for the period were US$16.9 million, with a unit cash operating cost of US$1.21 per carat, representing a 40% improvement on the per carat cost for the 12 months to June 2017. Cash rock handling unit costs (defined as total cash operating costs divided by total rock handled) were US$3.30 per tonne for the period. Total operating costs include mining and production costs, selling, general and administrative expenses, depreciation and amortisation, but exclude capitalised costs and mineral royalties. Cash operating costs include mining and production costs, capitalised costs, selling, general and administrative expenses, but exclude property, plant and equipment capital expenditure, depreciation, amortisation and mineral royalties. During the period, US$1.5 million was invested in mining and ancillary equipment and infrastructure improvements. With this transformation into an operating company, the Kagem and Montepuez mines become the foundation upon which we intend to build the future of the Company. Through its successful auction system, Gemfields has cemented its position as the world’s leading supplier of both rubies and emeralds. Please click below to download the ‘Inkalamu’ press statement. 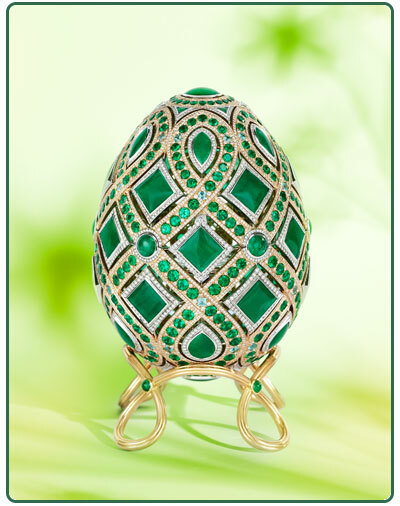 The global coloured gemstone market continues to grow soundly and Gemfields has the potential to expand through its existing emerald and ruby businesses, its recently acquired projects and to apply its successful model to other coloured gemstones. Gemfields is pleased to announce the result of an auction of predominantly commercial quality rough emerald held in Lusaka, Zambia from 18–20 February 2019. 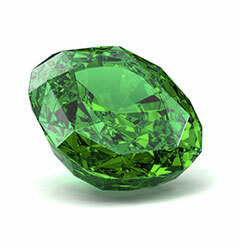 The emeralds were extracted by Kagem Mining Ltd in Zambia (“Kagem”, which is 75% owned by Gemfields and 25% by the Industrial Development Corporation of Zambia). The proceeds of this auction will be fully repatriated to Kagem in Zambia, with all royalties due to the Government of the Republic of Zambia being paid on the full sales prices achieved at the auction. Gemfields advises that the Zambian Revenue Authority (“ZRA”) has now cleared Kagem Mining Limited (“Kagem”) following its recent tax investigation. The investigation commenced on 16 August 2018 when the ZRA served two search warrants during an unannounced visit to Kagem. The search warrants authorised the ZRA to take wide‐ranging documents and files including those allegedly “used by Kagem Mining Ltd / Limpopo Polygraphs CC to evade the payment of value added tax, income tax, withholding tax and other taxes”.